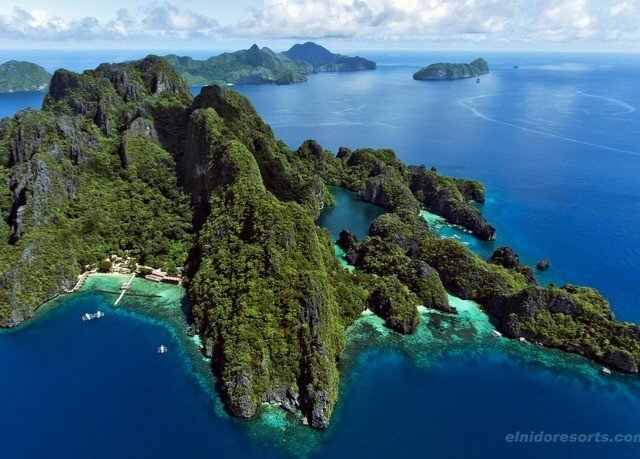 If you’ve ever dreamed of a tropical-island getaway, chances are you imagined something like the Palawan Islands. The lush landscapes here look straight out of a postcard, with greenery cascading down craggy cliffs, secluded turquoise waters and powdery white sands. Devoted to maintaining the ecological state of the area, El Nido Resorts Miniloc Island blends in seamlessly with its surroundings, nestled in one of the island’s secluded coves. Despite the untouched nature of the island, you’ll enjoy plenty of luxuries here. 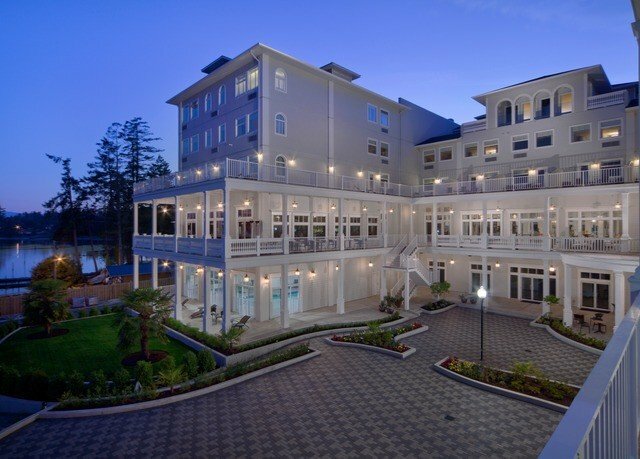 The resort’s charming accommodations offer traditional touches, and the healthy list of modern conveniences ensure a comfortable stay. You won’t go hungry either, thanks to the lovely restaurant. 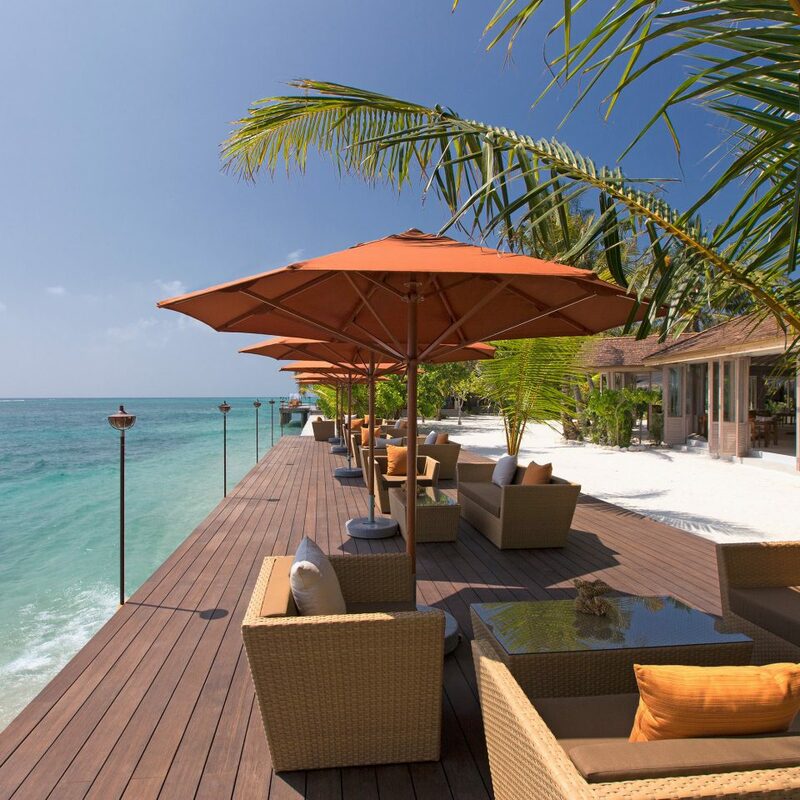 Spend your free time scuba diving, snorkeling, windsurfing or simply lounging on the sand, and when the sun sets, grab a spot by the Beach Bar and toast to the good life – how’s that for an itinerary? 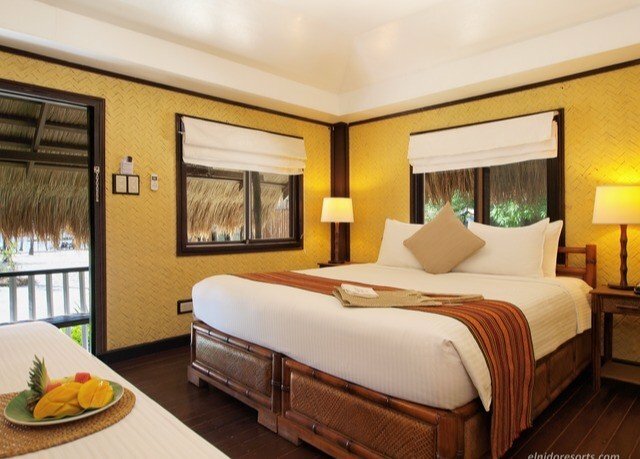 Staying true to the resort’s eco-friendly principles, accommodations here are furnished with local materials. 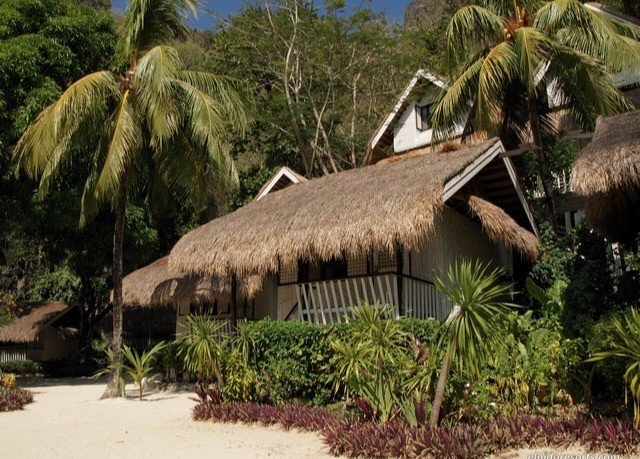 Garden cottages and Beachside rooms both feature lovely thatched roofs and walls covered in traditional woven bamboo slats. Air conditioning and a ceiling fan will keep you cool in the tropical heat, and the proximity to the beach offers lovely views. 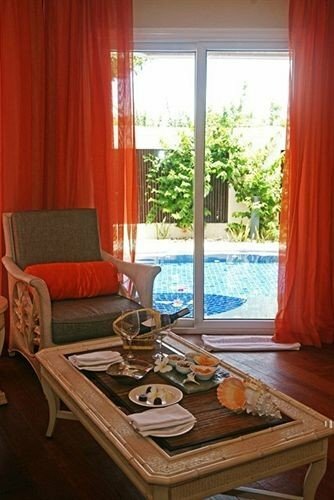 Garden cottages start you off at 290 square feet, while Beachside rooms are larger, offering a spacious 335 square feet.Please note that there is no Wi-Fi in the rooms and cottages. 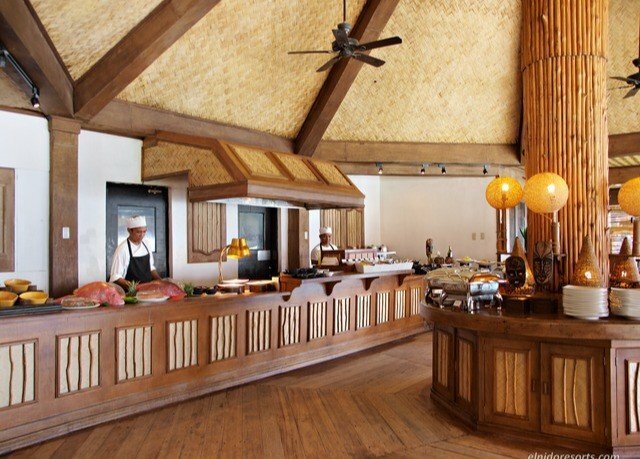 The resort’s eatery, Clubhouse Restaurant, offers a wonderful mix of local cuisine and international favorites. You’ll also enjoy Beach Bar, an inviting spot for sipping cocktails in the sun. For a real special experience, we suggest arranging a picnic or a private dinner around the island. If lounging on the sand and gazing at endless ocean views isn’t enough to help you unwind, then the resort’s spa menu might have what you’re looking for. 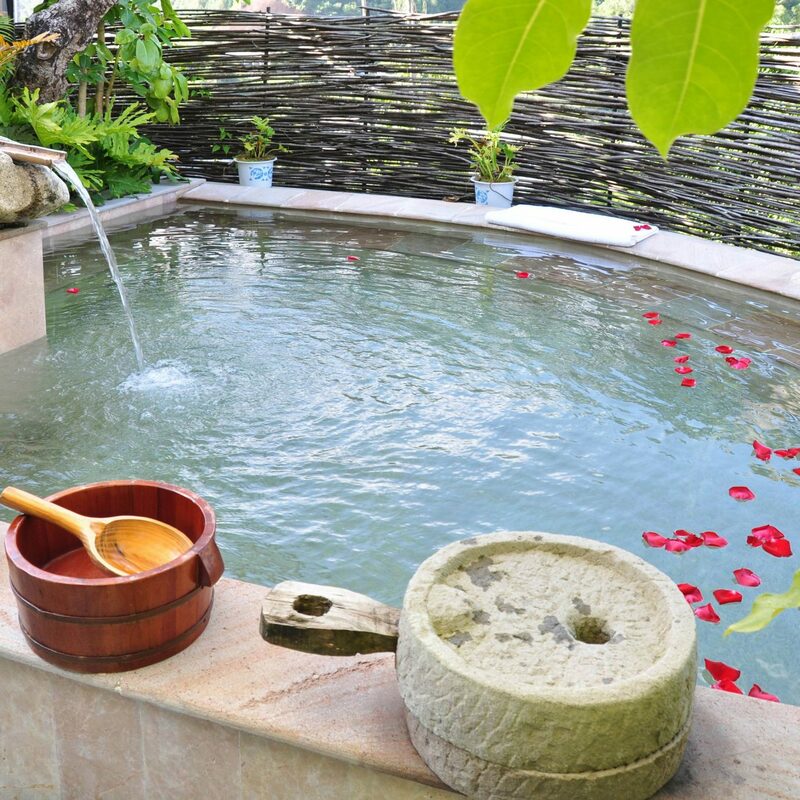 Treatments here include a variety of Asian, European and tropical face and body treatments, perfect after a day in the sun. Tucked away in a secluded cove among the many islands of Palawan, the resort boasts a truly breathtaking location. A long jetty leads out into the lagoon, providing a protected area to swim and splash around in. 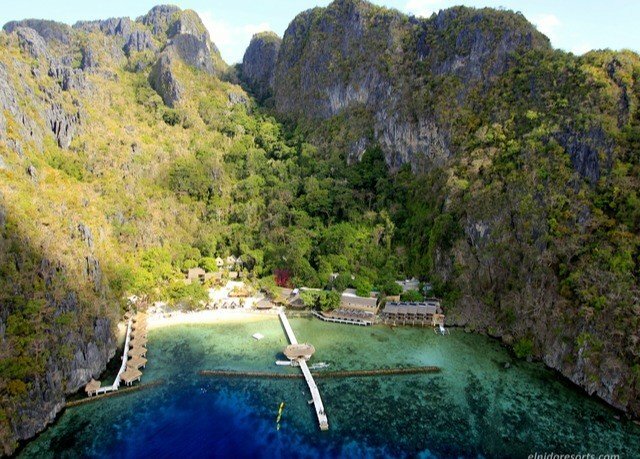 To reach the island, you can take an hour-and-fifteen-minute flight from Manila to El Nido Airport, followed by a 40-minute boat ride. Please contact the resort directly after booking to arrange transfers. This is a thank you review. First of all the staff of Miniloc Resort, especially the attention of Mrs. Romie Rose Batocan, who patiently answered more than 100 emails throughout these 8 months of preparation. It is not easy to organize a marriage on the other side of the world, in a country unknown to us and in English. But your team was impeccable from the preparations until every detail of the ceremony and dinner! Everything I asked for was there, every detail, full of affection and love! And I can not stop talking about the attendance of each employee! THANK YOU! I was never treated so well and received by everyone, even those who did not know about our wedding (which was difficult because all the staff came to congratulate us!so sweet!) We have noticed that hospitality is a trademark of you! For us who decided to celebrate the beginning of a life without our friends and family together, having all this affection and love of you was very important and special! I would like to give names, but I did not really keep them. But especially the employee who accompanied us during the wedding day, very affectionate and sweet, to the waiter who served us at our dinner which was an exemplary and very affectionate treatment, the boatman who accompanied us all day, the chef who prepared us the best and most filling dinner of our lives! In short, there were many involved, each with their participation so that we had the best lodging of our lives! Thats why I cried a lot to hear your team singing the song in the last day! I did not want to leave, I did not want the dream to end, and I write this post again bursting with tears! 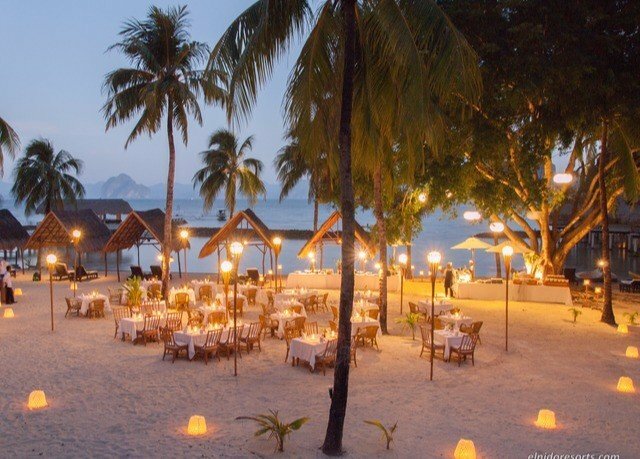 Thank you El Nido Resorts for turning our dream into reality! We wish you continue to be this fantastic team, which I will recommend to all! I was initially drawn to Miniloc Island for its eco credentials but this stay ended up being so much more than I expected. From the moment you arrive, you're taken care of, from the staff singing as you arrive at reception to the delicious arrival drink. Our room wasn't ready when we arrived as we'd got the earliest boat transfer but while we waited, we chilled out by the pool until we saw the porters carrying our luggage upstairs to our Beachside Cottage. The rooms were super comfortable, simple but contained all we need including a refillable glass bottle of water and the toiletries made especially for the resort, but the main event was the view - an amazing sight out onto the infinity pool and the ocean. We really enjoyed the food in the restaurant; although it's buffet style, it's plentiful and super tasty. Loved the risotto station for our evening meal. The staff were all super lovely throughout our stay, laughing and joking with us and helping us to take pictures on our Small Lagoon tour. People come to this resort for the location and the activities. As Miniloc Island is the location of the Small and Big Lagoons, you're in a favourable position to enjoy private tours of these locations before and after all the tourists arrive. We sadly only spent one night at the hotel but it's well worth waking up for the 6am sunrise tour of the Small Lagoon - it was unbelievably tranquil with just our kayaks accompanied by the birds tweeting. These tours, along with a whole list of others, are included totally free with the price of your room so take advantage! If you don't fancy leaving the resort, the pool is a lovely place to relax or you can snorkel or kayak out straight from the beach. The snorkelling directly in front of the resort is good with loads of beautiful corals, although the environmental officer on site can advise where's best to go if you're stuck. I can't describe how sad I felt to leave Miniloc Island and I'm already planning to save up so that one day, I can go back for longer! We stayed 7 nights. We are a family of four, one 19th month baby and one 10 year old boy. 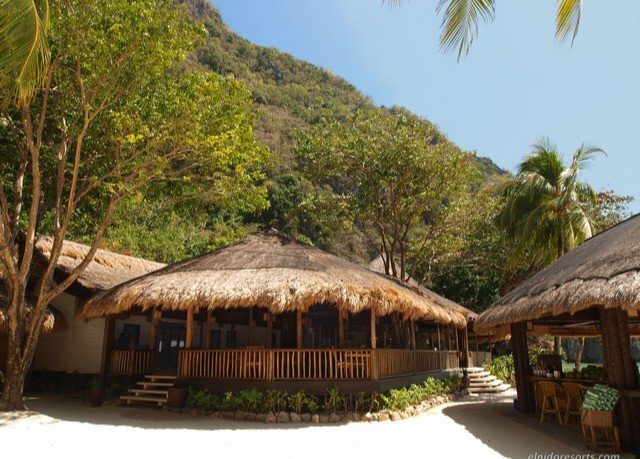 •	The localization of Miniloc Island and the activities provided each day (free of charge) are what make Miniloc Island Resort the ideal location and place to stay and discover EL Nido. This is THE #1 reason to come here. We did all the activities- the Big Lagoon, Entalula Island, Snake Island/cave, Shimizu Island and sunset cruise excursions. My favorite was Mantriloc. There are a few excursions that cost a bit extra -- the one to Secret Beach and Hidden Beach is totally worth it!! •	The activities are well organized as it is on times where there less tourists. •	The resort has a zero plastic policy which is perfectly fine. However there’s no bags whatsoever and I was travelling with a baby and I couldn’t put her dirty diapers anyplace. I ended up putting the bin outside the room and leaving there the dirty diapers. •	No toiletries, tooth brush, tooth paste, etc. I understand that the hotel wants to be environment friendly but for the price you pay they could provide tooth brush made of bamboo that is environmental friendly and many more things. •	The boats that the hotel uses creates so much pollution. They should have already changed the boats for more environmental friendly ones. 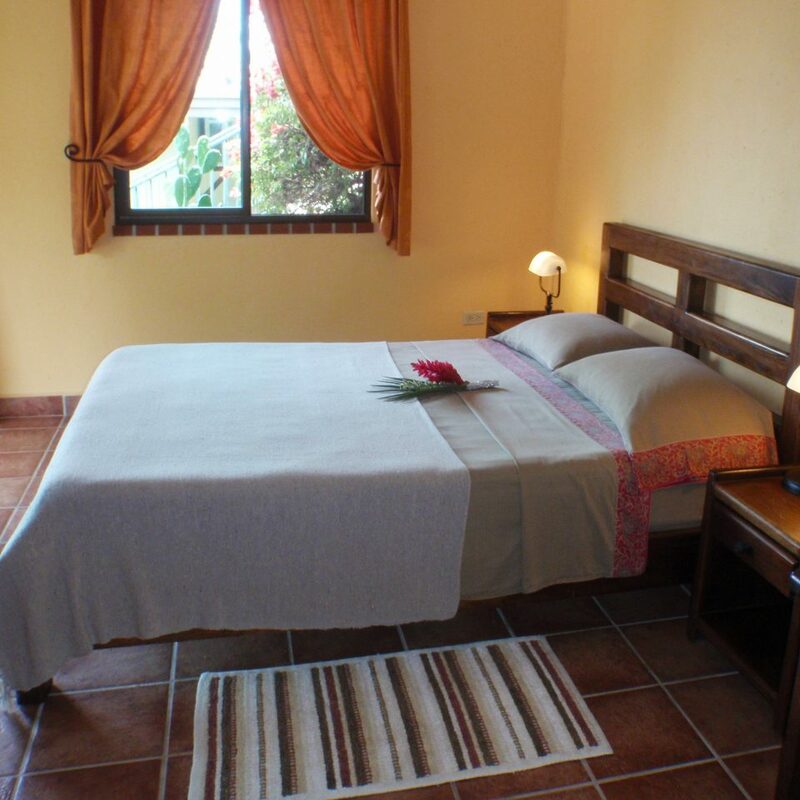 •	The rooms have recently been renovated, so they are clean, bright and new but not overly special or charming. •	The fridge in the room is empty, there’s no drinks or snacks whatsoever. •	We had some problems of bad smell (sewer) for almost all week that we were there. We called the reception, they tried to fix it but the smell was there for almost all week which is quite disgusting. •	The water in the toilet and in the sink is brown. 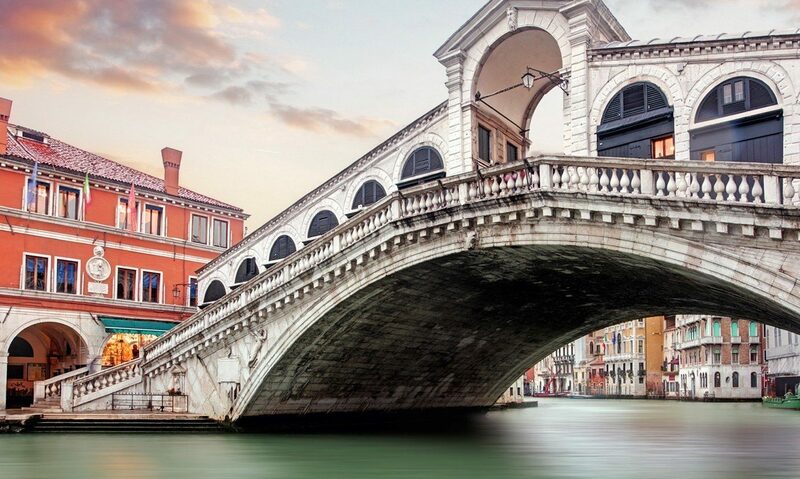 It is not admissible for a resort that wants to provide a luxury experience to their guests. •	Bad management in relation to managing food stocks, example: I ordered a diet coke every day and I was told everyday that it run out. In the last day I discovered a fridge in the store (inside the restaurant) where it was full of diet cokes. Besides, in the first two days I ordered calamansi juice and they served it to me. After the 3rd day until the end of our stay (we stayed one week) I was told that they run out of calamansi which is ridiculous as I found in every meal a full bowl of calamansi limes. The island is tiny, it is is only big enough to house the restaurant, pool, bar, and bungalows so there’s no excuse for not having the food transfer from one place to another. •	There’s not much a beach to speak of. If you are looking for a beach holiday this hotel is not for you. There’s a lagoon but very shallow and with rocks, difficult to swim. •	There is an infinity pool which is great as it divided into two and there’s a part for young children. My 19 month old daughter could stand up and she had a great time. •	Poolside service/beach service is frustratingly non existent. •	There are so few chairs and loungers, there’s no space for all the guests. •	Not all the staff is friendly and professional. We had a problem with one of the staff on Friday, the day before we left. The dive instructor (really nice) told us that he would send a person to talk to us about the dives of the next day before dinner time. Nobody told us anything. When we met the dive instructor the day after, he said that he did send someone and confronted that person. She was so rude and kept lying saying that she told us the night before which was a totally lie. Fortunately the diver instructor was really nice and took my husband for two dives last minute. Overall, the rate is expensive and there’s much room for improvement. We spent four nights here in a garden cottage. 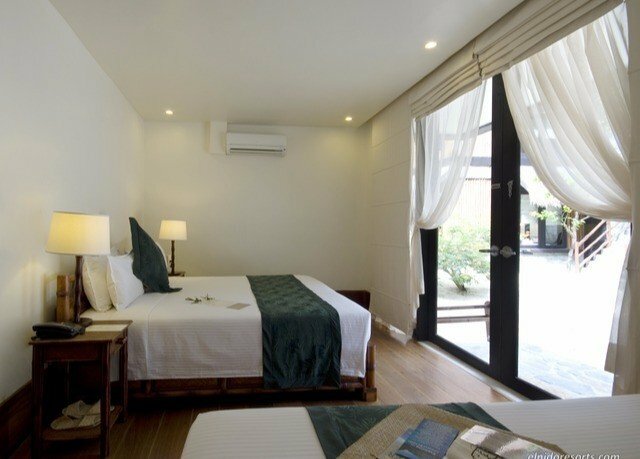 Our room was compact but has been newly and stylishly refurbished. There are pictures of reed walls in the rooms. All are now solidly built. Ours was an entry level room and we felt very comfortable here. 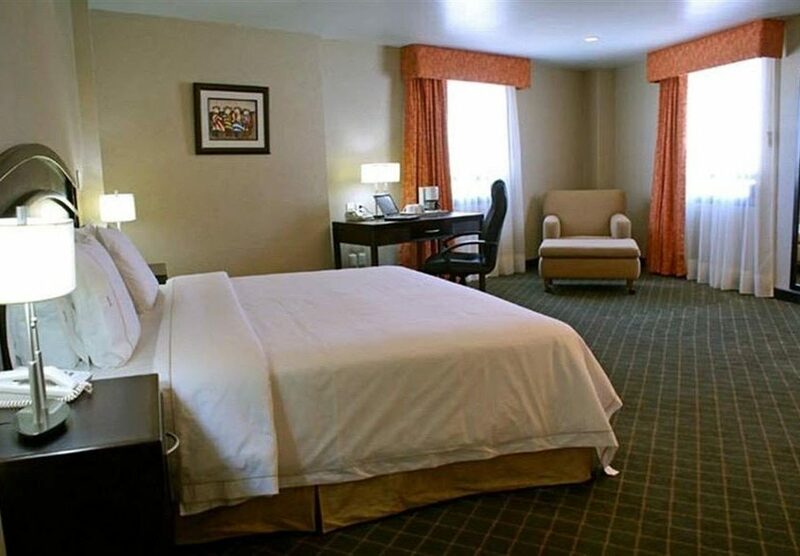 There is a ceiling fan and air conditioning, plenty of hot water and free wifi. The staff are lovely. All the activities and transfers are extremely well organised. We liked the homely feel to the resort. It was busy but still peaceful. Meals are buffet style and the food is not gourmet but still good and plentiful. The outlook from the resort is lovely. There are plenty of activities included in the room rate including boat trips, kayaking and snorkelling (equipment is available to borrow). There are government restrictions on the number of boats visiting the big and small lagoons and a modest environmental tax is payable. However, people told us they kayaked there early in the morning from the resort without any problem. On the boat trips, you need to take a tender to the actual small cruising boat. You will need to clamber on and off the boats and may have to wade through shallow water on occasion when the boat moors. Staff are on hand to help. Overall, the rate is expensive but well worth staying here rather than in El Nido itself.